1. PLAN AHEAD and pick your perfect spot. Make sure that you pick a camping ground that is safe and age-appropriate for your kids. Check out kid-friendly sites that have access to shower areas or toilet. Also, make sure that you have packed enough drinking water and food. It is wise for first timers to pick a camping ground that has a nearby store in case you forget to bring something; you always have a go-to place to buy extra essentials. 2. GIVE TASKS to everyone. Kids will get more excited to know that they have an important role in the planning. You can prepare a checklist and let them pack their own things in a bag (with your supervision, of course). They can also help out prepare food and pitch the tent. 3. DOUBLE CHECK YOUR LIST. Before leaving home, make sure to double check if you have packed everything on the list. Print them out, hand it over to your kids and let them help re-check if you’ve packed all the essentials. Kids should be given strict rules and let them know the importance of these. They should wear their whistles at all times and should never play with fire. Inform them of possible dangers and be extra careful when in the wilderness. Remind them to take nothing but pictures, kill nothing but time and to leave nothing but footprints. 5. PLAY and be a kid again. When settled, remember that you did all these to bond with each other. Let your kids play. Let them get dirty and let them enjoy nature (hopefully, they left their gadgets at home). CAMPING builds strong family bonds, creates a more open communication between family members and helps you create memories that you will treasure forever. 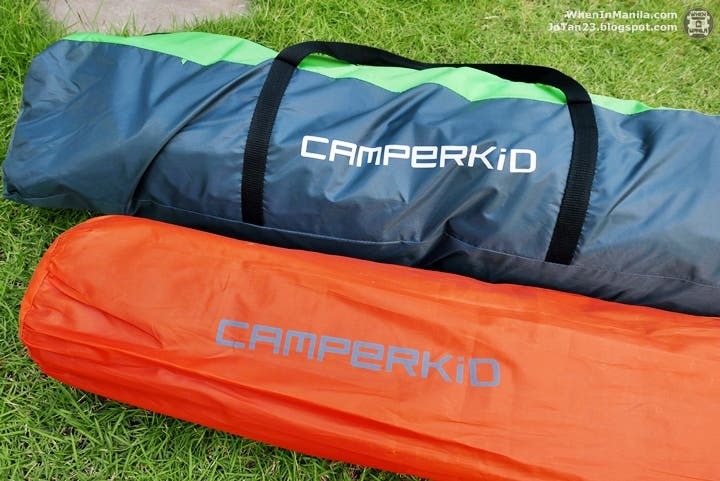 Sleeping in a tent is one of the greatest adventures for your kids that they will never forget that’s why it is important for you to choose the right tent for you. You don’t need to spend much, especially for first timers, as long as it is right for your family – size, price, functionality, durability and simplicity. Your tent should be easy and quick to pitch because ideally, you need more time to spend with your children than pitching a tent. 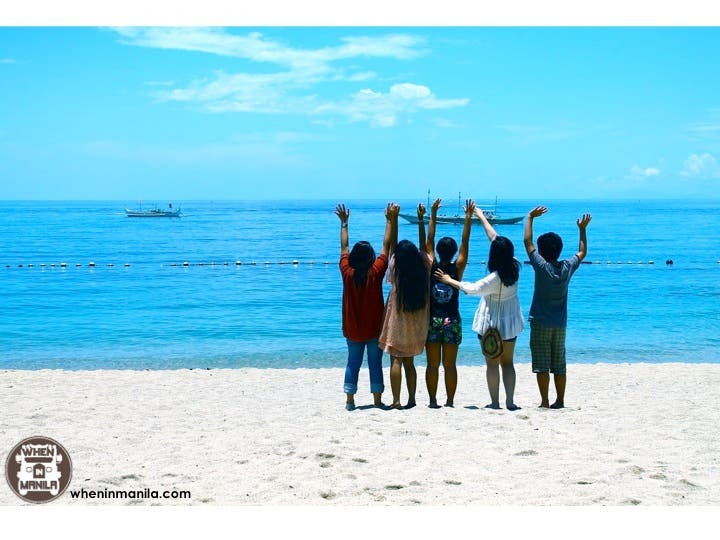 This is why we highly recommend CAMPERKID PHILIPPINES! 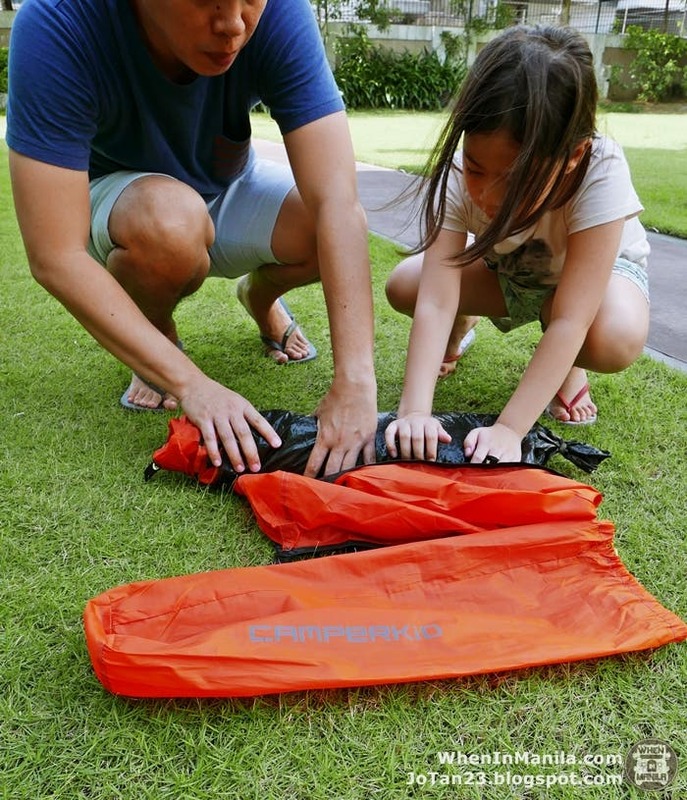 CAMPERKID PH tent is easy to pitch and has a low price of Php 3,999 (compared to commercial standard tents that ranges from Php 4000 – 10,000). 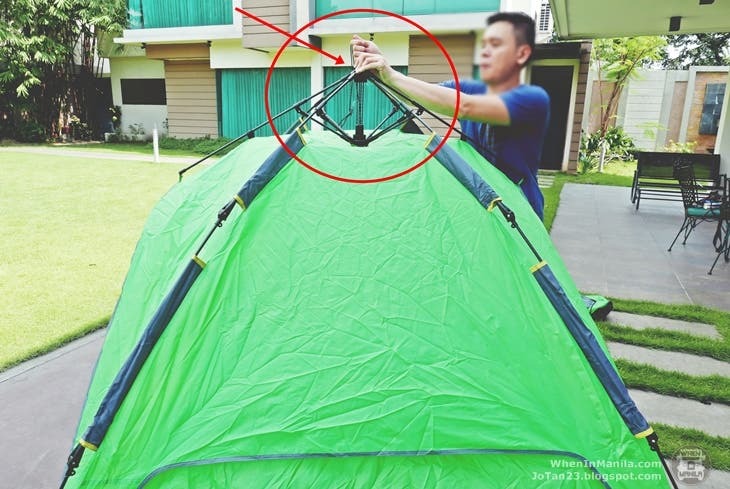 It is a one-pull set-up tent that only takes around 30 seconds or less to set it up. One tent usually fits 3 pax. It has an inner canopy which is breathable. Air passes through the window mesh to keep you cool and the bugs out. It also has a flysheet to protect you from rain and wind. 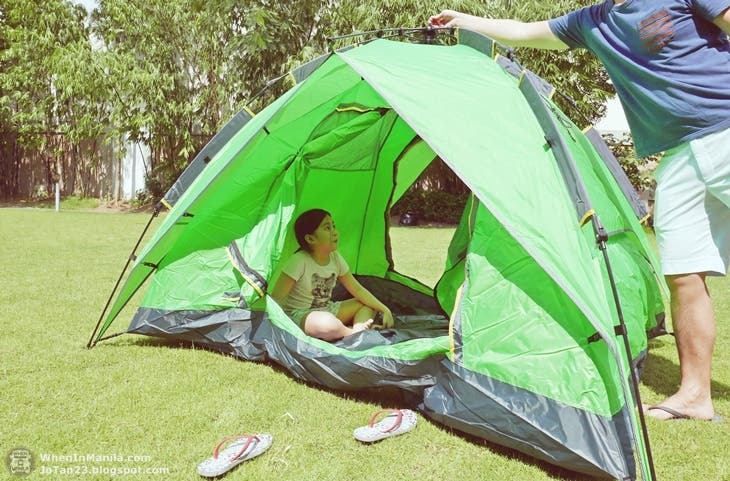 The tent comes with two openings – the front and back side of the tent. It also has a lantern loop inside so you can hang your lantern at night and inner pocket where you can put your phones and other handy things. Travelers would love to have this and kids would also love to play in this tent. With just ONE pull, your dome tent is finally done and ready! 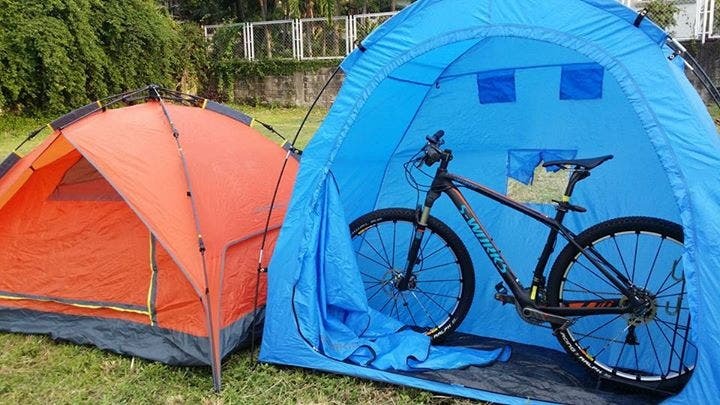 Moreover, CamperKid PH offers a bike/storage tent for only Php 2,999, which is a first of its kind here in the Philippines. 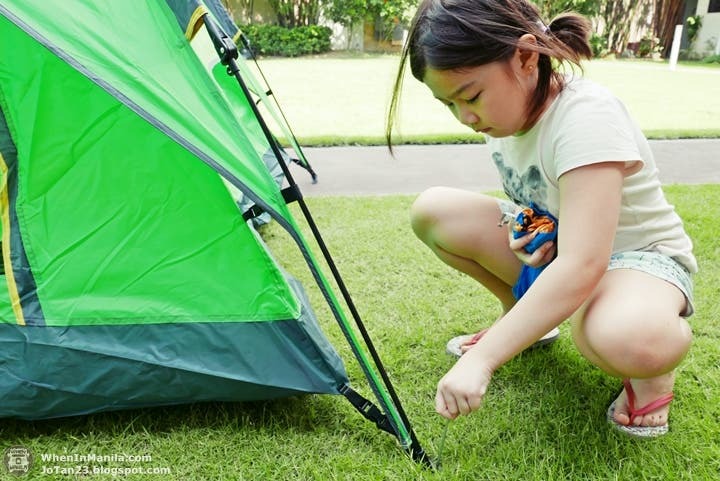 Campers who want to bring their bikes and extra belongings can use the storage tent for added space and protection. Shipping fee may vary depending on the quantity and location. At the moment, CamperKid PH accepts meet-ups every Saturday and Sunday near Congressional Ave Q.C. LOOK: Nurse's #HUGOT Post Goes Viral! 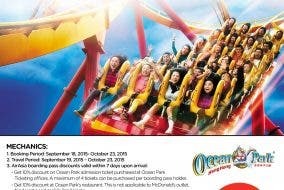 Enjoy Discounts to Hong Kong Ocean Park When You Fly With AirAsia!